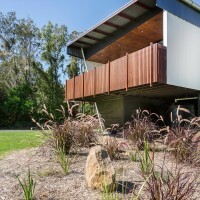 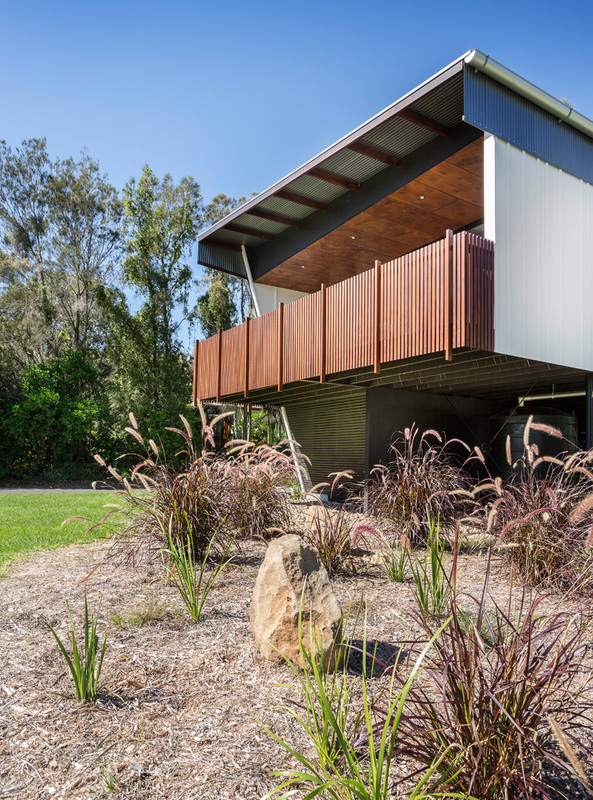 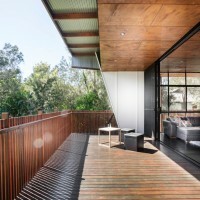 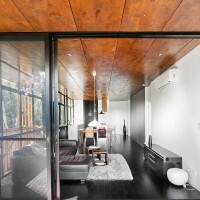 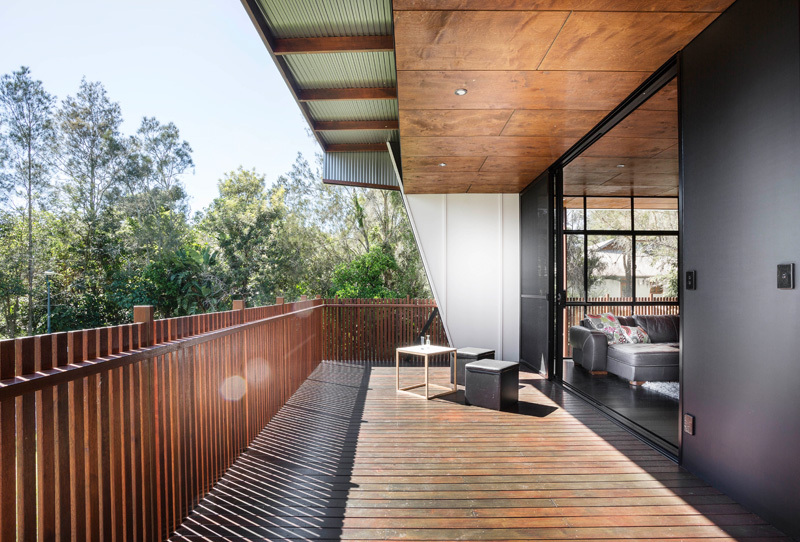 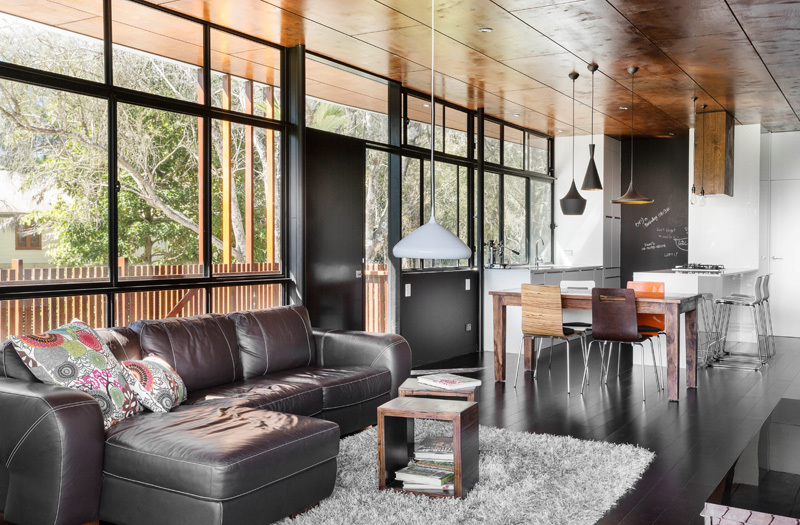 refresh*design have sent us photos of the Northern Rivers Beach House they designed, located in South Golden Beach, Australia. 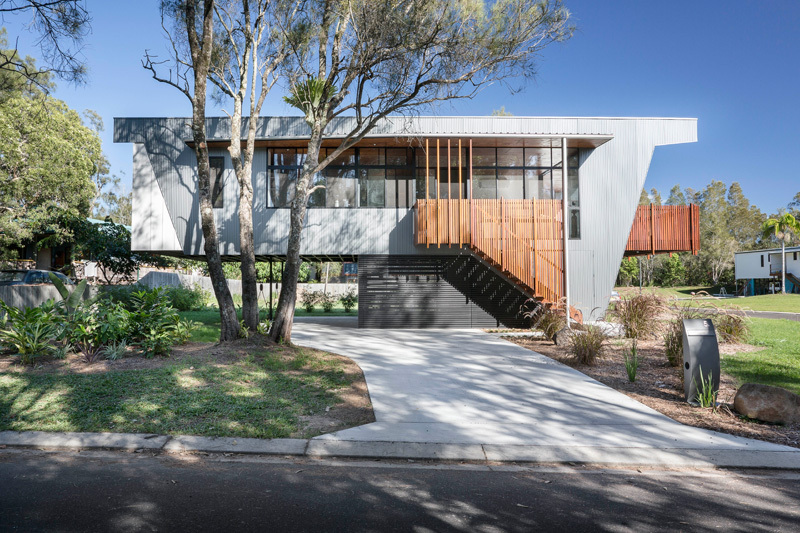 Located in a beachside setting, the architectural brief for this project was to design a contemporary, yet cost effective three-bedroom house, well connected to nature and featuring subtropical open-plan living in a temperate climate. 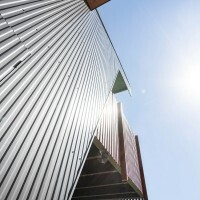 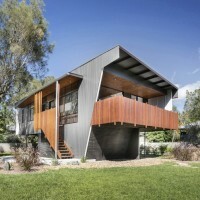 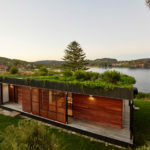 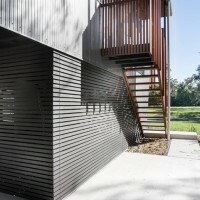 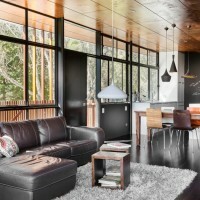 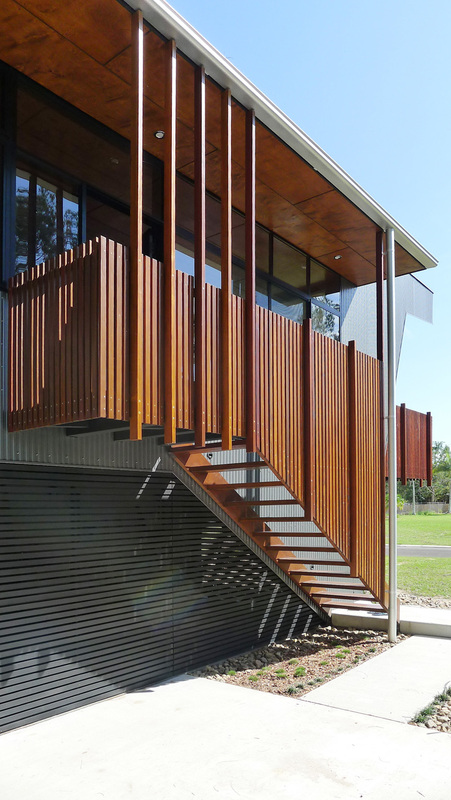 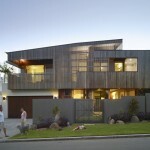 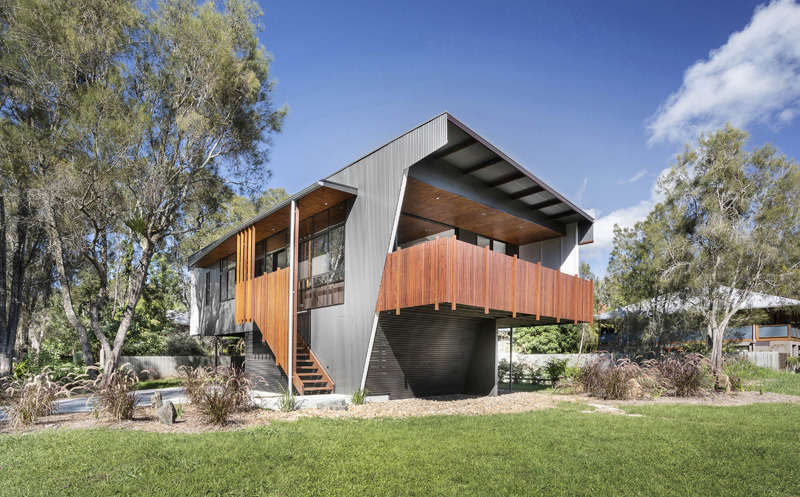 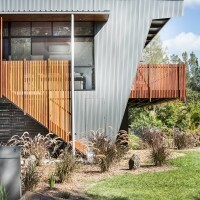 The initial premise for the design was to ‘re-interpret’ the beach house by integrating traditional materials of corrugated metal, fibre cement sheeting and timber elements, onto a contemporary and dynamic shape. 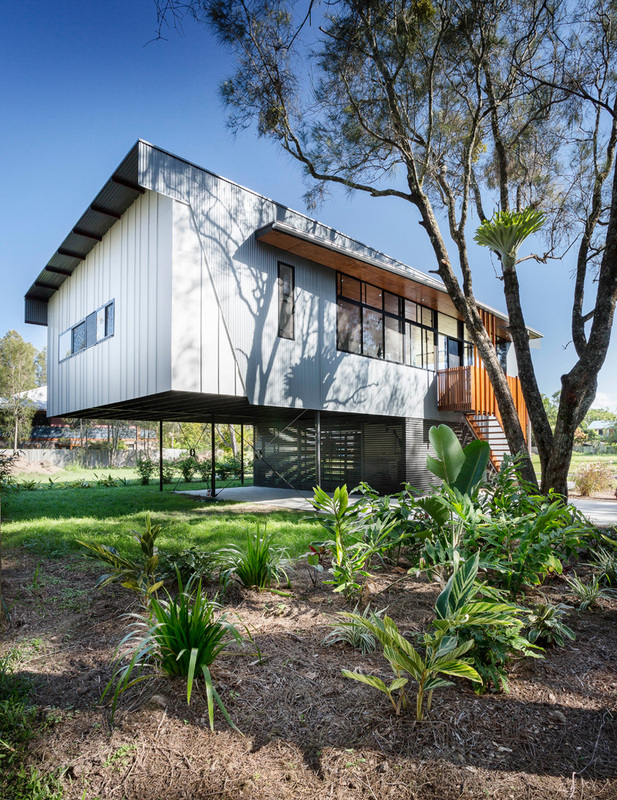 The restraints of a small site area, low budget and restrictions due to flooding, resulted in exploring the unconventional concept of a cantilevered structure, with both ends overhanging and counterbalancing each other. 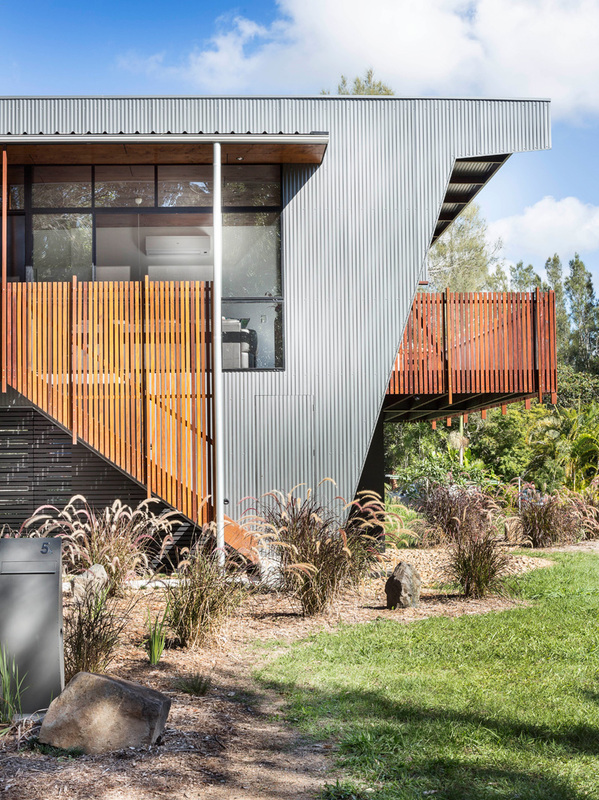 Using steel for the major structural elements, and timber for the secondary structure, a very economical and bridge-like architecture was created to inspire a soaring visual effect. 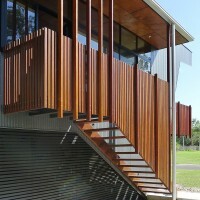 Working with a small budget required the use of innovative or unconventional details to achieve the desired design outcome. 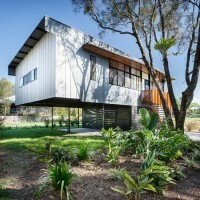 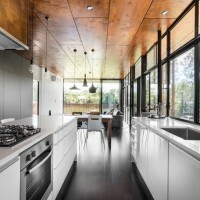 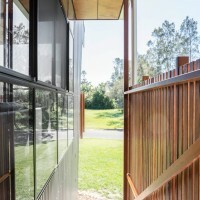 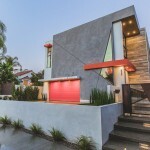 This house incorporates sustainable design principles, and has been planned to take advantage of natural ventilation, passive solar design and a very economical use of space.